It’s not your father’s beer can – but is it yours? Considering it was (little-known fact alert) a European brewery that first produced canned beer, in 1933, in Lorraine, France (the Americans only followed two years later) we Europeans have been distinctly sniffy about beer in cans. 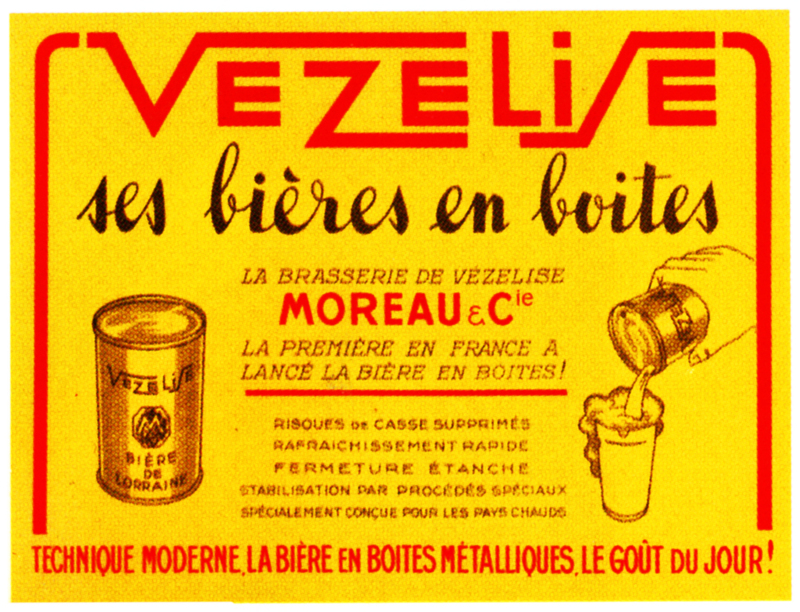 One French website, talking about the record of the Brasserie Vezelise, “Premiere brasserie Française a mettre de la biere en boite”, adds: “Helas!”. 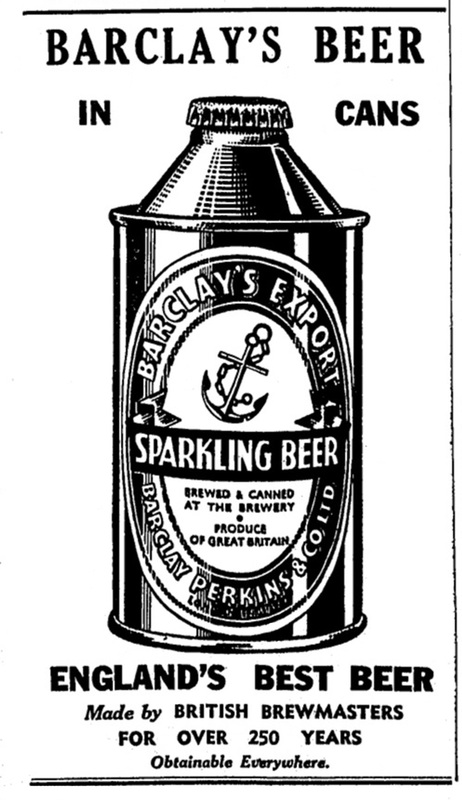 In Britain, anyone who reckoned they knew about beer knew canned beer was, to quote the 1984 Good Beer Guide, “inferior” – tinny-tasting and cheap . 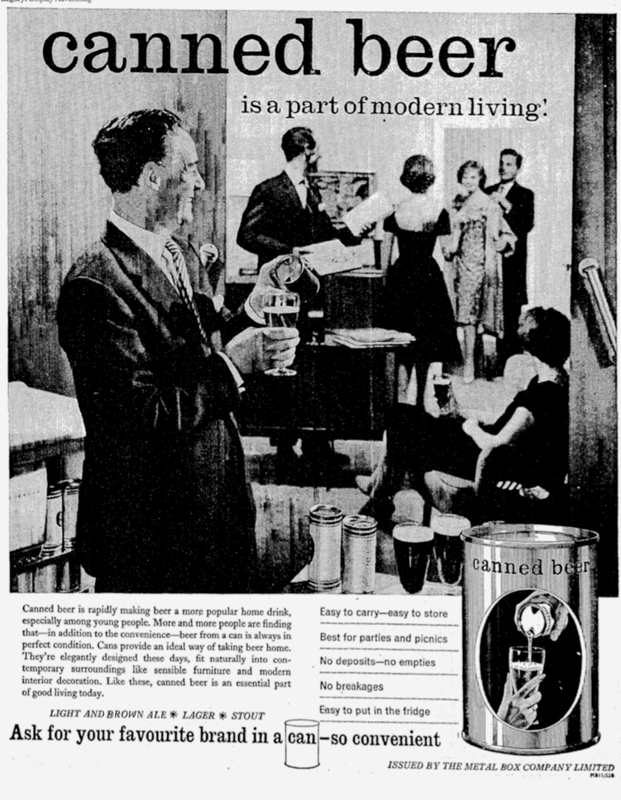 In fact canned beer did not have a universally wonderful reputation even in the United States, which invented the name “Joe Sixpack” for Mr Average. When the first canned craft beer appeared there – just 12 years ago, in 2002 – it shook up considerable controversy. Even in 2005, there were not much more than a dozen US craft breweries who had followed Oskar Blues, the Colorado brewer that pioneered craft beer in cans, onto the canning line. By 2012, however, that number had grown to more than 200 brewers making canned craft beer. Today, according to the Cantastic database, the figure is 413 breweries, canning 1,484 different craft beers in 94 styles across 49 states and Washington DC (the one non-craft beer canning state is West Virginia). But is it any bloody good? I first had canned craft beer in Hong Kong, where several small Japanese craft brewers, such as Yo-Ho, have their beers on sale in cans in classier supermarkets, and where semi-pro American beer importers bring in West Coast craft beer in cans, and lo, ’twas frequently very tasty. Indeed, Yo-Ho’s Yona Yona pale ale became one of my favourite fridge beers. Back in the UK, though, I’ve returned pretty much 100 per cent to bottles for my home beer consumption, simply because the places I buy beer from pretty much solidly don’t sell craft in cans: there still are very few craft beer brewers in Britain canning their beers. But if there were canned beers as good as some of the canned beers I tasted in HK easily available, then I’d be happy to buy them. I was delighted, thus, to get an invitation to last week’s Indie Beer Can Festival, which was set up by the Can Makers, the trade body for British beverage can makers. It was a well-thought-out competition: brewers did not have to be canning their beer already to enter. Out of the initial entrants – and some 70 brewers put themselves forward – 12 were to be picked, and any of the 12 who were not already canning would be given a “limited edition” canning run. They would all go into a blind tasting, and three winners chosen. All the finalists were available in can for sampling on the day, and I went round with cup, pen and notebook making my own judgment – which one of the entrants’ canned beers would I most like to take on a picnic? The “Breakfast Stout” from Arbor Ales, was tarry, sweet, smooth and warming, but at 7.4%, too strong for a picnic – too strong for breakfast, probably. Longhorn IPA, normally a craft keg beer, from Purity Brewing, 5% abv, had an initial fullness not matched, unfortunately, by the follow-through, and felt comparatively slight against many of the other beers there. Springhead‘s Roaring Meg was light for a 5.5% beer, with honey and grain: a picnic possible. There were two beers from established family brewers in the final, each of which was already being canned: Thwaites’s 13 Guns delivered a lovely mango nose, but frothed up badly in the glass (or plastic cup, rather) which lost it picnic points, while Adnam’s Ghost Ship was a solid, down-the-middle pale ale, but failed to bowl me out. The one Irish entrant, Blacks of Kinsale‘s Kinsale Pale Ale, was restrained for an American Pale Ale, with biscuit malt more apparent than the tropical notes in the mouth, though there was a good long lingering bitter aftertaste, and I thought this was going to be the picnic test winner. 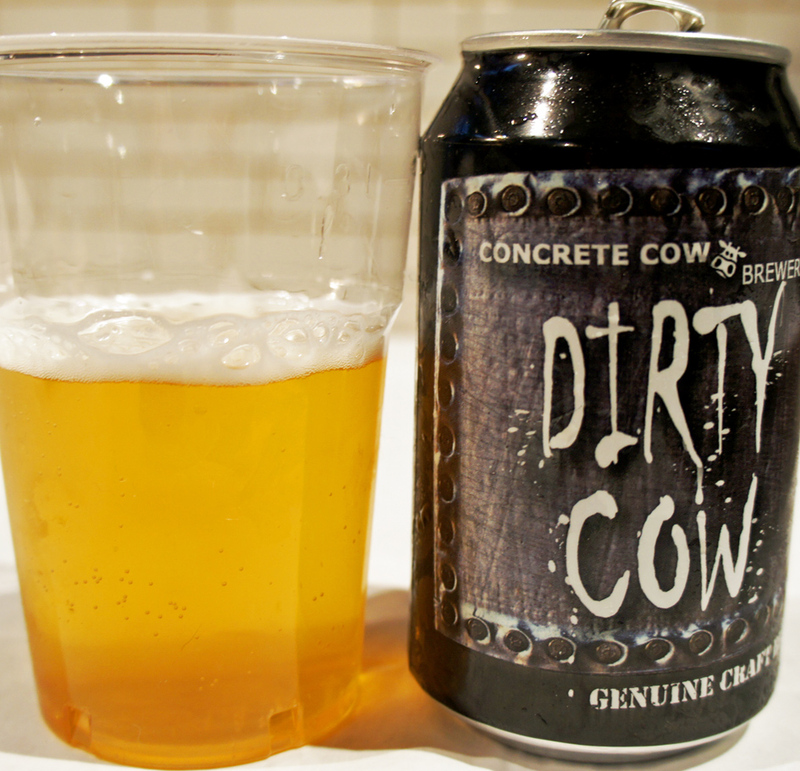 Then I tried Concrete Cow‘s Dirty Cow. Did anything good ever come out of Milton Keynes apart from the A5 to London? Yes, this, a lovely 5% abv mix of American pale ale and wheat beer, a little sour, tangy, with hints of fruitbowl, refreshing when cool, but – and this is the clincher for a picnic beer – with a collection of flavours that suggest it will still taste good when it’s warmed up over an English summer afternoon. Give the picnic prize to the Cow. You’ll not, I’m guessing, be surprised to hear that the official judges didn’t agree with me at all. The gold medal went to Adnams’ Ghost Ship, the silver to Thwaites’s 13 Guns, the two experienced canners taking the top prizes, while the bronze was snatched by Arbor with its Breakfast Stout. Still, it confirmed that craft beer does indeed belong in cans. And cans, as the Can Makers will declare, do have advantages over bottles: the beer inside a can is far less likely to be affected by beer’s big enemies, oxygen and light, which ruin far too many bottled brews, while cans are also lighter than glass – ten or eleven times lighter, in fact – and cool down faster in the fridge. So are we likely to see more British craft brewers speedily follow BrewDog (who began canning in 2011), Beavertown, Camden and Fourpure of Bermondsey? Although the can format is being sold as the best way to eliminate oxygen from the beer after packaging, it is during the packaging process itself that the greatest danger lies. I am unconvinced that the canners towards the lower end of the market are capable of sealing the can without potentially picking up detrimental levels of dissolved oxygen. It would seem that it is possible to produce good beer on a budget canner, but personally I’m not convinced. Although I am sure we could achieve extra sales and the exposure would be great having beer in can, I feel that on the flip side of the coin, customers drinking oxidised beer from a can would do no favours for our reputation. So there we are. Today’s craft brewery canned beer is not your father’s canned beer, but it’s not necessarily the answer to a beer drinker’s prayers.